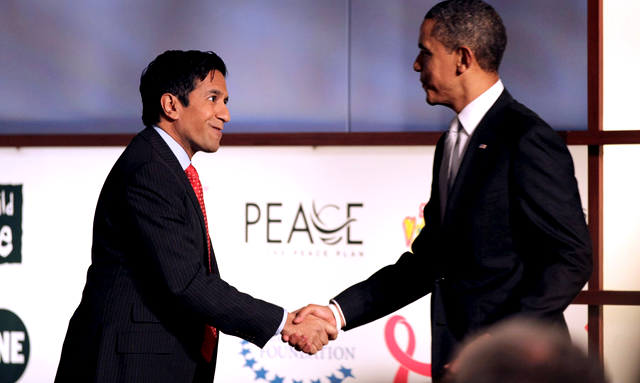 Dr. Sanjay Gupta, a neurosurgeon and CNN’s chief medical correspondent, spoke out in August 2013 apologizing for previously making negative comments about marijuana. Later that year, he launched a documentary that aired on CNN, called ‘Weed,’ in which he traveled around the world to collect scientific and anecdotal evidence of the medical validity of cannabinoids. Since its original airing, the Weed series has quickly become one of the most-viewed medical marijuana documentaries in the world. Weed 3 aired last night, Sunday at 9PM EST on CNN with an anticipated special guest attracting more attention to the series than ever before. President Obama gave his full support of medical marijuana, as well as discussing his views on drug abuse and incarceration. The Obama administration has made it a priority to focus on the conditions for non-violent drug offenders, despite the Justice Department crucifying more medical marijuana businesses and patients than any prior administration. In 2008, Obama promised not to use Justice Department resources anymore to circumvent state law in an effort to end the Bush Administration’s high-profile raids of medical marijuana providers. It wasn’t until the end of 2014 that we saw the passage of a federal spending bill that included an amendment preventing the Justice Department from going after state legal medical marijuana operations.